Discover the future landscape of E-Mobility at the Everything EV Scotland. A 2 day conference dedicated to informing and networking the full EV supply chain currently driving change across Scotland. Uncover the challenges and triumphs in procuring charge point networks from big to small across the public and private domain and learn of the latest innovations in EV technology and integration demonstrably capable of driving deployment of EVs to the masses. The conference will focus on the business and financial models that will foster growth in ASIA. The main topics covered will be, amongst others: Hybrid projects and bankability; Large Scale Renewable Projects; Floating Solar; Developers & Investors Collaboration Models. This two-day conference will focus on the tech solutions disrupting the energy space as well as the repercussions (strategy) they will have on the way the energy industry operates. Understand fully the technical and logistical supply chains that determine the production and performance of solar modules, including all related factors impacting quality, reliability & bankability. The only event that covers finance and investment for solar and storage in the US; aims to attract tax equity providers, banks, mezzanine providers for both solar and storage across the different states. An evening awards dinner celebrating the achievements in Electric Vehicle innovations throughout the supply chain including battery storage technology, charging infrastructure, software and systems and everything in between. Discover the future landscape of E-Mobility at the Everything EV Germany. A 2 day conference dedicated to informing and networking the full EV supply chain currently driving change across Germany. Uncover the challenges and triumphs in procuring charge point networks from big to small across the public and private domain and learn of the latest innovations in EV technology and integration demonstrably capable of driving deployment of EVs to the masses. Now in its 7th year, Solar Finance & Investment Europe is firmly established as the must-attend event for solar developers, asset owners and financiers to understand the latest trends and opportunities in the European solar landscape. As subsidy free solar projects become the norm, Solar Media's LSSEurope event serves as a meeting point for PV Developers to unlock the full potential of subsidy-free business across Europe. Returning for a 5th year, this must-attend conference will discuss the hottest topics in cell processing and the most innovative approaches to increasing efficiency whilst driving down cost. In its 2nd year, this conference is aimed at end-users (residential, commercial and utility scale energy storage) and will cover the addressable market in the US, how to sell to it and how to unlock a greater potential of energy storage. Discover the future landscape of E-Mobility at the Everything EVs. Now in its 3rd year, this 2-day conference is dedicated to informing the full EV supply chain currently driving change across Europe. Uncover the challenges and triumphs in procuring charge point networks from big to small across the public and private domain and learn of the latest innovations in EV technology and integration demonstrably capable of driving deployment of EVs to the masses. Now in it's 2nd year the PV IndiaTech conference brings together all key domestic and overseas stakeholders, including government bodies, investors, and the leading companies today from manufacturing to O&M and asset management. To thrive globally as a major PV power beyond 2020, India has to succeed in unlocking its potential both to manufacture and to lay claim to quality utility-scale solar farms that are providing high returns on investment to site owners. This event will provide a key networking opportunity for board level representatives from the biggest developers in the state of Texas, debt providers, investors and equity players. For any company that wants to understand how to play in the ERCOT market, this event is essential. Discover the future landscape of E-Mobility at the Everything EV. A 2 day conference dedicated to informing and networking the full EV supply chain currently driving change across Europe. Uncover the challenges and triumphs in procuring charge point networks from big to small across the public and private domain and learn of the latest innovations in EV technology and integration demonstrably capable of driving deployment of EVs to the masses. As the first subsidy free solar projects begin to appear, Solar Media is preparing to mark the dawn of a new era of subsidy free business for Europe and with nearly 4GW of large scale solar in the UK’s pipeline alone, the time for subsidy free solar has arrived. Returning for a 4th year, this must-attend conference will discuss the hottest topics in cell processing and the most innovative approaches to increasing efficiency whilst driving down cost. This conference is aimed at end users (residential, commercial and utility scale) and will cover the addressable market in North and South America, how to sell to it and how to unlock a greater potential of energy storage. Now in its 6th year, Solar Finance & Investment Europe is firmly established as the must-attend event for solar developers, asset owners and financiers to understand the latest trends and opportunities in the European solar landscape. Topics this year will include: •	How subsidy free projects are currently being funded and developed across Spain, UK, Portugal and Italy •	What Oil & Gas companies and utilities are planning in the clean energy finance space. •	What are the prices manufacturers will be able to achieve without MIP. •	How developers are making subsidy free projects work through numerous case studies. •	The state of the secondary market and the refinancing deal flow. This is the meeting place for the metals industry and investors and will show attendees how global investment into renewable energy is driving prices in commodities involved. The Solar Power Portal Awards returns for a sixth consecutive year this October to celebrate the UK solar and energy storage industry. Established to recognise outstanding achievement in the solar and clean energy sectors within the last 12 months, the award winners will be announced at a prestigious presentation and gala dinner ceremony on Wednesday 17th October at the Hilton Metropole in Birmingham. The only event that covers finance and investment for solar in Canada; aims to attract tax equity providers, banks, mezzanine providers for both solar and storage across the different states. This event aims to connect financiers and investors in solar PV as well as energy storage and microgrid with developers in the Asia Pacific Region. Solar Asset Managers, O&M providers will learn best practices to measure asset performance, develop strong KPIs, advancements in monitoring hardware and software, avoiding hardware failings, and how to balance costs against service in O&M contracts. Solar Asset Owners and future investors, Managing European Solar Assets will uncover the top performing European and emerging solar markets, what to ask from monitoring services, what O&M clauses to include in your PPA, and how to aggregate monitoring data to improve long term forecasting. Additionally, learn how to utilise energy storage advancements and smart grid technology to supply clean electricity around the clock and increase your bottom line. Returning for a 3rd year, this must-attend conference will discuss the hottest topics in cell processing and the most innovative approaches to increasing efficiency whilst driving down cost. Solar Finance & Investment: Europe is the leading event for PV asset owners, developers and financiers all over Europe to discuss secondary market trends, refinancing, post-subsidy development and international opportunities. If you are looking for anyone that is buying or selling a PV asset or is developing one this is the place to be. Solar & Off-Grid Renewables Africa: EAC & SADC is a 2-day high-level conference that aims to support and accelerate the deployment of solar and off-grid renewable energy in Africa, and break down the barriers to development - financial, political, technological - by bringing together key stakeholders, including investors, policy makers, developers, energy companies, financiers, NGOs, manufacturers and suppliers. Returning for a fifth year, Solar & Off-Grid Renewables Southeast Asia 2017 is the distinguished, must-attend event for solar PV companies looking to secure profitable business across the booming Southeast Asian market. Covering one of the most exciting markets for solar in the world. This events aims to attract tax equity providers, banks, mezzanine providers for both solar and storage across the different states. Running on the final day of our flagship Solar & Storage Live Exhibition, this 1-day conference dives into the technologies that are set to revolutionise the way that energy is traded. The conference will provide an overview of the key disruptors such as AI, demand response, virtual power plants, blockchain & peer-to-peer trading as well as the changing role of DSOs. Running on the second day of our flagship Solar & Storage Live Exhibition, this 1-day conference brings together key stakeholders across the solar PV supply chain to look at the challenges and solutions for PV deployment in residential, commercial and utility scale projects and the roles that O&M, PPAs and disruptive technologies like blockchain are having on the way asset owners optimise performance and trade energy. Running on the first day of our flagship Solar & Storage Live Exhibition, this 1-day conference follows on from our hugely successful 3-day Energy Storage Summit in February 2017. The Energy Storage Conference brings together key stakeholders to look at the roadmap for storage deployment, the enabling technologies and emerging business models that continue to drive the growth and financial returns from energy storage. Evolving from Solar Energy UK and 7-years of continuous show growth, this year’s show heralds an exciting new focusing on Solar, Storage, EV infrastructure and related technologies that will empower the transition to cleaner energy . Solar and energy professionals will discover the latest about how solar, energy storage and energy management connect, providing cost effective, low carbon solutions to the benefit of commercial and residential end-users. Covering the ASEAN region, this event will attract the different capital providers interested in the region. Has the low-hanging solar fruit gone? Where will the biggest primary markets be in 2017 and 2018? This event will connect developers and financiers to find out how to work in new emerging PV markets. Split across two streams, we will investigate both bankable projects and how companies improving access to energy can attract capital for growth. Join Solar Media in Munich prior to InterSolar 2017 at our ‘Deploying Energy Storage in the UK’ event. This 3 hour event will equip you with all you need to know about the opportunities in energy storage in the UK followed by a networking drinks reception where you can meet with key players in the market. Following a hugely successful inaugural event in Kuala Lumpur in March 2016, PVCellTech is returning to Malaysia in 2017. Penang will host this must-attend conference discussing the hottest topics in cell processing and the most innovative approaches to increasing efficiency whilst driving down cost. The only UK downstream focused event looking at Energy storage. Three streams filled with end users (residential, commercial and utility scale) to address all for the different market segments. Covering what is the addressable market and how to sell to it as well as how to unlock the much greater potential of energy storage. Now in London for it's 4th year, The Solar Finance & Investment conference is firmly established as the must-attend event for developers, asset owners and debt providers involved in the European solar market. Solar & Off-Grid Renewables Southeast Asia is a conference series empowering solar business, solar developments and advanced technology solutions within the ASEAN region. The event offers a high-level trading platform to organisations that are looking to expand and develop their business in this fast growing new market. in 2016 the event will be co-located with Solar Finance & Investment Asia. Solar Finance & Investment Asia will be co-located with Solar & Off-Grid Renewables Southeast Asia. The conference will provide developers asset owners and investors with the latest best practice insights specific to the Asian market. New website coming soon. The Republic of Ireland’s PV market is expected to reach 1-2GW by 2019. With 2GW of grid applications already in and a competitive market support mechanism expected in autumn 2016, developers anticipate the main construction phase to start in March 2017 and are making preparations now. With proven results helping international and UK solar supply chains connect, Solar Media’s Solar PV Ireland will enable the Irish market to develop with professionalism, speed and inclusivity. The highly successful Solar Power Portal Awards is set to return alongside Solar Energy UK this Autumn with comedian Jimmy Carr acting as host. Last October over 650 energy professionals came together to celebrate an unprecedented year of industry achievement. This first-class evening event has evolved to incorporate compatible clean technologies – now dual branded as the Solar Power Portal Awards & Clean Energy Awards, also recognising outstanding products and projects in the Energy Management, Energy Storage & Renewable Heat sectors for the first time. Focusing on all areas of the solar industry, the purpose of the awards is to recognise and celebrate good practice, professionalism, quality, safety and innovation, with the aim of being a marker of the brightest and best that UK solar has to offer. Moving solar from the ‘margins to the mainstream’ of the energy industry.. With Solar at the forefront, the brightest of futures is assured for Clean Energy, and Solar Media Ltd will be doing what we do best; supplementing our solar media & events, with promotional platforms for tens of thousands of clean energy professionals. We believe in clean, decentralised energy for every residential home, every commercial premises, every rural and every urban application. Solar Energy UK is the leading dedicated solar exhibition in the UK, offering a unique trading platform tailored to the needs of the UK solar industry. 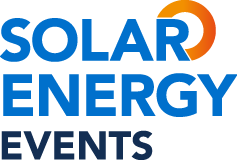 Consisting of an exhibition, seminars and roadshow series, the Solar Energy UK portfolio is designed to actively support the development of the UK solar industry through a range of innovative educational and promotional platforms. Are you looking at the ambitious plans India has to install solar, bringing millions of people out of energy poverty? Then you must attend Solar Finance & Investment India, designed to present two fantastic and high-level opportunities for deals to get done: in London and in India. The UK energy mix is a rapidly evolving landscape, with renewables and clean technologies increasingly impacting multiple industries. Solar is now the most installed renewable technology in the UK and can have significant impact on grid & utilities, corporate energy targets and the building & transport industries. West Africa offers a huge potential opportunity, not just to make use of the incredible irradiation levels but to bring access to secure, clean energy and jobs across the region. The second Solar & Off-Grid Renewables Africa conference and exhibition will move to Ghana in September. This high-level conference will bring the international and local solar community together to increase deployment of solar power in West Africa. PV Tech presents PV Celltech, your brand new solar manufacturing conference for CTOs, CEOs and Heads of R&D, set to discuss the hottest topics in cell processing and the most innovative approaches to increasing efficiency whilst driving down cost. Our Installer Roadshows are a series of technology agnostic, half day events that provide a concise and educational experience targeting installers, local councils and commercial energy buyers, with view of facilitating networking and knowledge exchange. Join us for an exciting event that will help you capitalise on upcoming developments and strengthen your business for the future. Solar Finance & Investment launched as an EMEA focused conference. The event has been developed to focus on growth, challenges and the prospects of solar investment and project finance in Europe, Middle East and Africa, looking at the changes in the investing landscape through discussion, case-study and leading keynote presentations from the forerunners in solar finance. This sell-out launch event attracted 200+ delegates to the New Amouries, Tower of London. In 2015, Solar Finance & Investment conference will be a 2-day event exploring UK energy price trends and policy, financing for rooftop as well as profitability and import/export. Energy Plus - a pavilion showcasing the latest technologies in energy efficiency, distribution and energy storage. Securing Returns from Rooftop PV is designed to provide a handpicked group of senior level institutional investor attendees with informed intelligence to generate revenue from their portfolio’s rooftops. The 4th Solar Finance & Investment Conference will move to Singapore at the end of June to bring together Asian developers, financiers and investors to drive forward deployment of rooftop and ground mount solar. Doing Solar Business in the UK is an international programme, promoting and educating the international solar community on trade opportunities and policy updates within the UK solar market. In addition, Solar Media will also be hosting our newest seminar series, Doing Solar Business in East & West Africa taking place alongside the UK programme. The 'Doing Solar Business' one-day seminars are held in Munich during Intersolar. Large-Scale Solar UK was the first and only dedicated sell-out large-scale conference of its kind launched in 2013. With a guided site visit included and additional planners' workshop to took place on 29 April, this year's event was hosted at Kelham Hall in Nottinghamshire. An extensive conference programme focusing on large-scale solar in the UK will follow on in April 2015. Solar Energy East Africa is a two-day, high-level conference that aims to support and accelerate the deployment of solar and off-grid renewable energy in Africa, and break down the barriers to development - financial, political, technological - by bringing together key stakeholders, including investors, policy makers, developers, energy companies, financiers, NGOs, manufacturers and suppliers. Solar Energy UK Roadshow is a series of half day seminars that provide an accessible, educational opportunity for SME and commercial businesses to learn more about all the latest trade essentials for running a successful solar business in the upcoming year. “Solar is growing so fast it is going to overtake everything. It could double every two years.” Jon Wellinghoff, Chairman of the Federal Energy Regulatory Commission Could Moore’s Law, the computing idea that capacity will double every two years, apply to the US solar industry? It will when solar companies dramatically increase their access to capital. Join the second conference in PV-Tech’s PV Finance Series and meet with developers, operators and panel manufacturers seeking investment to take already profitable businesses to the next level. Under the new CfD regime in the UK, renewable technologies will have to compete by auction with one another to win a CfD contract. Solar has been classed as a mature technology by the UK Government so will need to compete with the likes of onshore wind, energy from waste with CHP, hydro, landfill gas and sewage gas. Come to this crucial one-day conference and make sense of the fast-approaching new era in UK solar finance. Doing Solar Business in East & West Africa is designed to showcase the splendid opportunities presented by East and West Africa, tipped by many as the hottest region for solar PV. The event will connect attendees with policy-makers, developers, financiers and infrastructure experts to outline, step-by-step how you can work in the region. The 'Doing Solar Business' half day seminars are held in Munich during Intersolar.